Beginning the 2018-2019 school year, O’Neal, and fellow conference schools – Carolina Friends, Trinity Academy and Trinity School – as well as a group of new members, will belong to the newly formed Triangle-Triad Athletic Conference (Tri-TAC), a division 2A conference. For the first time in its history, the North Carolina Independent School Athletic Association (NCISAA) has added a 4A classification to its system based on school enrollment for grades 9-12. Due to this new section, many schools across the state are experiencing significant changes among conferences. This change has moved present Eastern Plains Independent Conference (EPIC) schools - Cary Christian School, Grace Christian School of Raleigh, and St. David’s School – to play in a division 3A conference. “We are very excited about the NCISAA classification changes. It is a good opportunity for us at O’Neal to continue to provide the best athletic experiences!” exclaims Athletic Director James Franklin. Exclusively 2A conference. Playing in a completely 2A conference enhances the School’s opportunities when it comes to state playoff seeding. Also, while O’Neal will still schedule schools across all classifications, it will be competing with only 2A schools for conference championships, as opposed to schools that might be much larger in size. Across the board, O’Neal currently already plays all of the new and current conference members in non-conference and conference competitions. 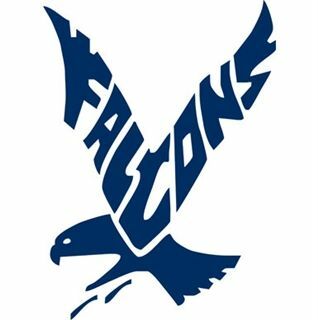 The Tri-TAC will continue to provide a great level of competition for the Falcon teams. The Tri-TAC will consist of schools that have a very similar athletic mission/vision to O’Neal. The size of the conference will allow O’Neal a good deal of freedom for non-conference scheduling. O’Neal looks forward to Tri-TAC action beginning in the Fall of 2018 and to some great competitions ahead!